CALL (734) 326-3900 or SEND MESSAGE BELOW FOR PRICE! 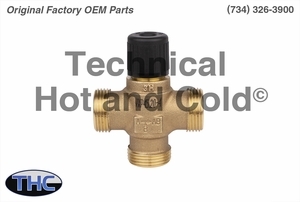 Technical Hot and Cold offers the Schimpke 5004025 Three Way Valve OEM replacement part for sale online and over the phone. Call (734)326-3900 to speak with a technician for additional information on each Schimpke replacement part.